Ramon M. Picon, 82, passed away on Friday, September 21, 2018 at his residence. Services will be at 10:00 am. Tuesday, September 25, 2018 at Calvillo Funeral Home and Chapel with Rev. Ed Cena officiating. Burial will follow at City of Lubbock Cemetery under the direction of Calvillo Funeral Home. There will be a prayer service at Calvillo Funeral Home Chapel, Monday, September 24, 2018 at 6:00 pm. Mr. Picon was born July 27, 1936 to Candelario and Josephina Picon in Cameron, Texas. He later went onto marry his loving spouse Maria Castillo on October 2, 2005 in Lubbock. He was an experienced mechanic who enjoyed working on vehicles and especially on his very own 1962 Chevy pickup that he loved. His greatest joy in life however, was preaching the word of God and being with his family. He is preceded in death by his parents Candelario and Josephina Picon; sons Ramon Picon Jr. and Ramiro Picon; brothers Jose Picon and Candelario “Jack” Picon; a sister Virginia Gutierrez and a grandson Rudy Martinez Jr. 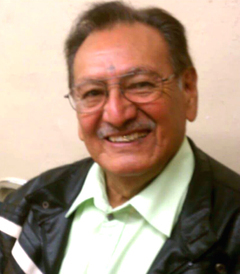 He is survived by his wife Maria Picon; two sons Roberto Picon and Ruben (Michelle) Picon; five daughters Belinda (Rudy) Ochoa, Beatrice (Lupe) Rejino, Bertha Flores, Yesenia Picon, and Carmela M.(Rigo) Tello; two sisters, Rita Picon and Juanita Rodriguez, thirty-one grandchildren, forty four great grandchildren and fifty one great great grandchildren all of Lubbock.